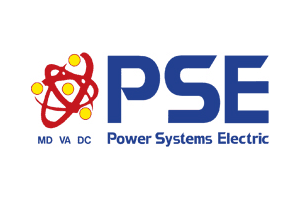 For commercial and industrial service applications like backup power generation, public area lighting, and general electrical maintenance, ServiceTrade helps you deliver a better experience with less administrative burden. 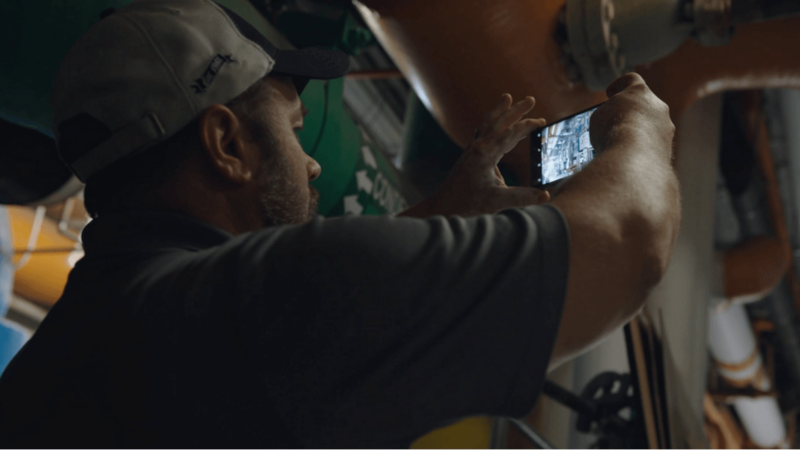 See how MEP contractor B&W Mechanical is growing with ServiceTrade. 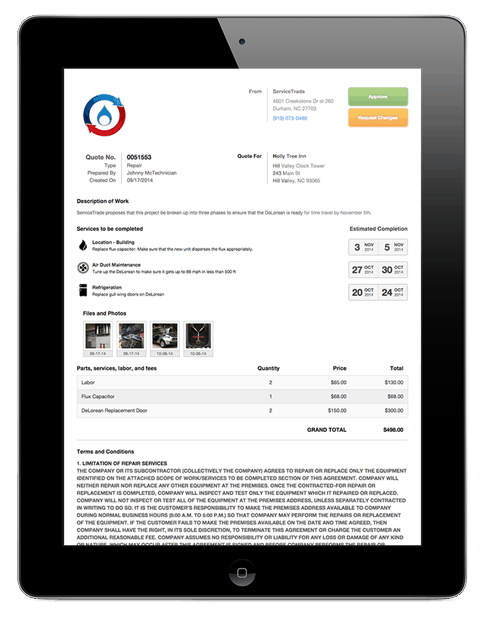 ServiceTrade was made for electrical service companies. 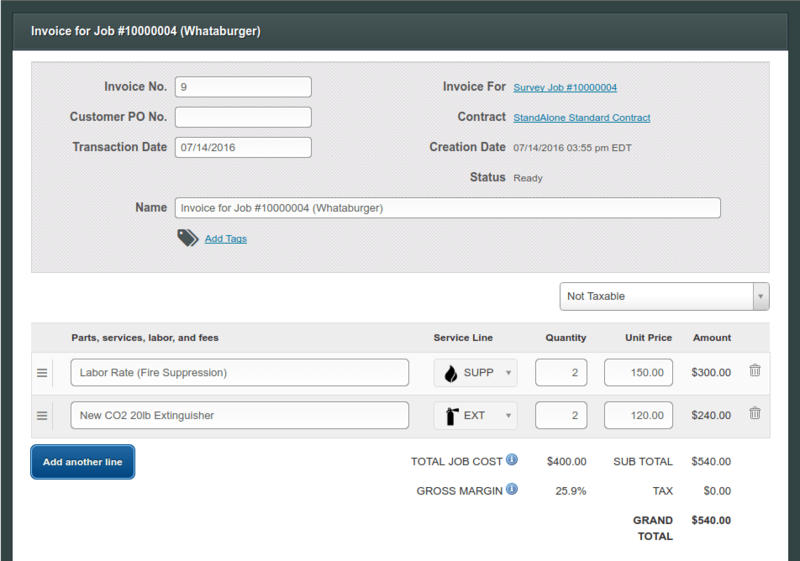 Enter the costs and quantities for parts and materials used on every job for accurate job costing. 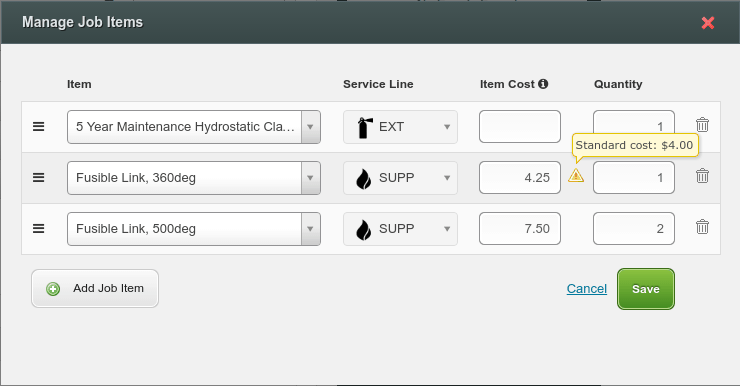 ServiceTrade shows you the gross margin when you create a pro forma invoice that is passed to your accounting system. Technicians use our mobile application to list what they’ll need for a repair, or recommendations from a preventative service visit. This information is shared instantly with the home office, where it is easily converted to an online quote. Online quotes that have photos of the issue and that are turned around quickly have a 3x approval rate over emailed quote attachments. 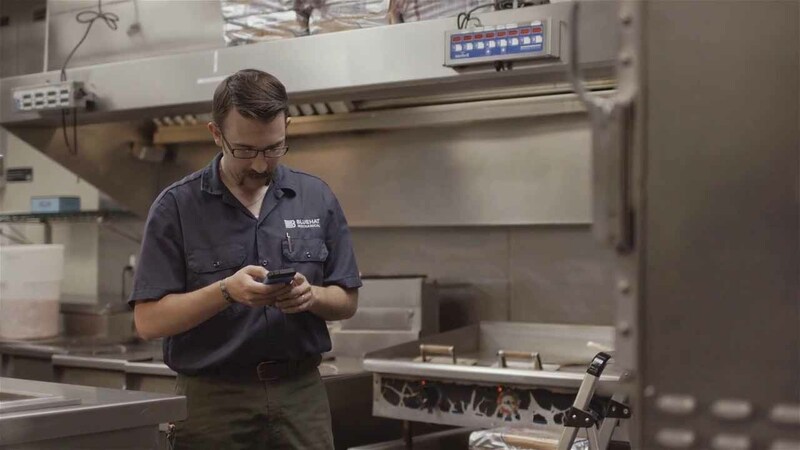 Technicians armed with mobile devices have the work order, location information and an easy way to record service details through video, audio notes and photographs. Electronic forms and paperwork attached to the job become instantly available to the office, eliminating the wait time for paperwork and receipts, and decreasing your time to invoice. The service history of electrical systems are at your fingertips to help you research maintenance and repair history, plan proactive services, and perform repairs. 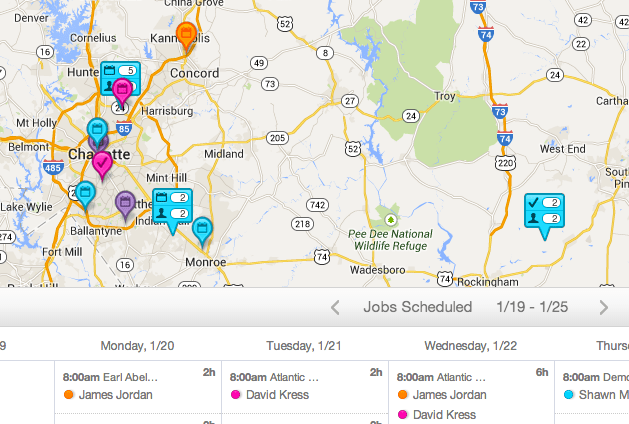 Our map-based scheduler helps you schedule planned contract services and respond to emergency repairs. Technicians clock in and out with the GPS-enabled clock so management has oversight and confirmation that everyone is at the right job at the right time. 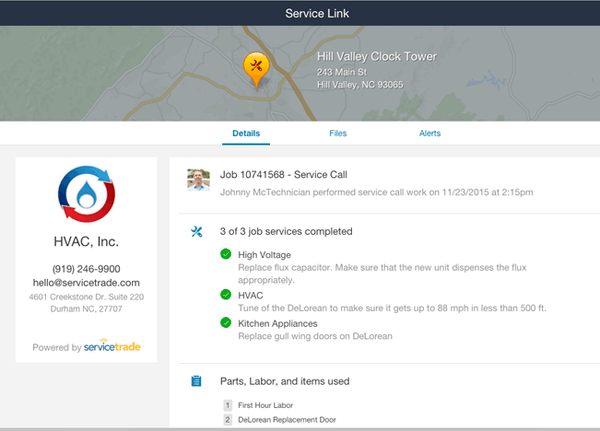 Facilities with complex systems and multiple stakeholders love the Service Link after-service report. This online report transforms the job information added by your techs and admins into a permanent record of the work you performed. 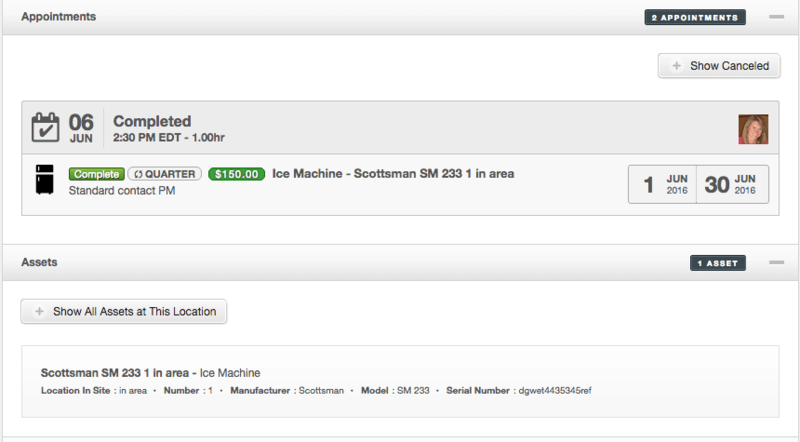 Service Link highlights your brand and shows customers the value of the services you provide. See how it works for MEP service provider BlueHat Mechanical. ServiceTrade helps BlueHat offer better service to their customers, measure what is going on in the field, and set themselves apart from the competition. Learn how our customers grow by 18% per year.